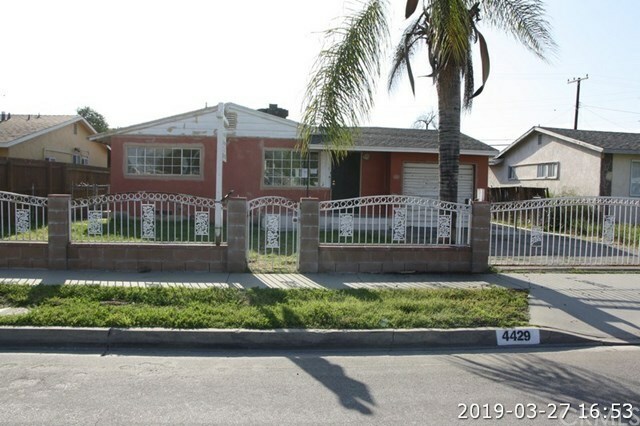 4429 Hornbrook Avenue, Baldwin Park, CA.| MLS# CV19070806 | Southern California Homes for Sale. Search properties Southern California. GREAT FOR INVESTOR!!! LOTS OF POTENTIAL!!! GREAT FAMILY HOME LOCATED IN NICE AREA CLOSE TO SCHOOLS, SHOPPING AND FREEWAYS. TAX RECORDS SHOW 2 BEDROOMS BUT PROPERTY HAS A ROOM ADDITION WHICH CAN EASILY BE USED AS A 3RD BEDROOM. SPACIOUS FRONT AND BACK YARDS PERFECT FOR ENTERTAINING!! HOUSE IS FENCED FRONT AND BACK. MAKE THIS A MUST SEE HOME!! !